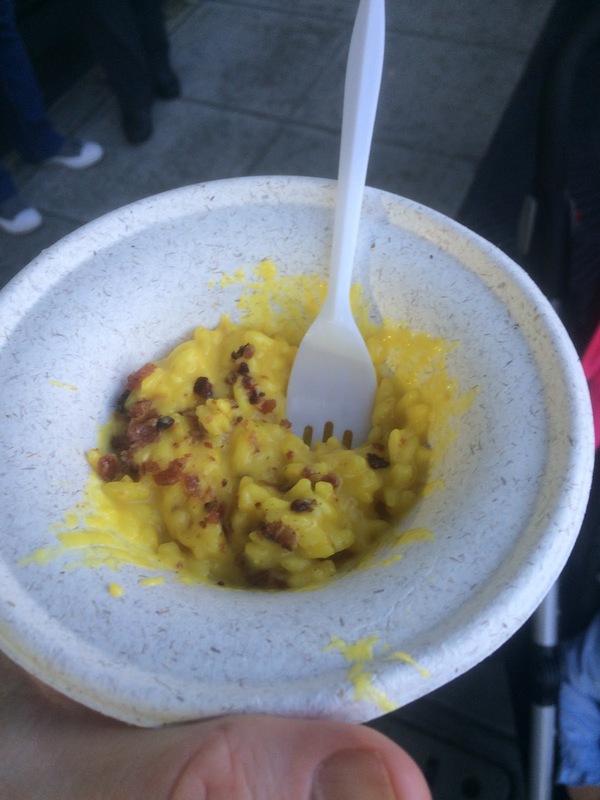 Taste of Little Italy 2016 Wrap Up - San Diego Dining Dish! 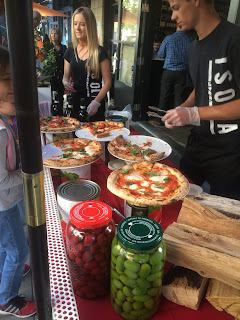 One of my favorite foodie events in San Diego is the Taste of Little Italy. Little Italy is home to the very best restaurants in the city, so it's really a carnival of good food to go around having a bite or two from every place in the neighborhood. Walking around the beautiful neighborhood in the nice June weather of San Diego, eating good food...it's just the perfect event. The event is divided into a North and South route, but participants have the option of buying both routes. The routes are each composed of about 20 restaurants, so it's completely possible to go to each restaurant without getting too overwhelmed (and overstuffed). We had the South route this time, which was great because it had some of my favorite restaurants, plus a bunch that I've been dying to try out. One huge recommendation for the Taste of events -- bring a water bottle. The restaurants are happy to provide waters, but often it is very busy, so it's best to bring a water! We started out at Indigo Grill, which I've been wanting to try for a very long time, but just never seemed to go. The tasting was a delicious ceviche tostada, with homemade tortilla, and bursting with scallops and fresh cucumber. So good, and a great way to start the night! Prep Kitchen had a great sample of spicy meatballs and garlic toast, very filling and made me want more! Winner of the night was Pan Bon, a new restaurant that hosted an event that I attended a month ago. I was impressed then, and I loved their tasting! Wine-braised beef served over polenta, proscuitto and cheese brushcetta, and a chocolate truffle for a dessert! Plus, a red wine or champagne tasting! It was all delicious, and enticed me to return as soon as possible. Another favorite was Isola, aka the best brick oven pizza in San Diego! 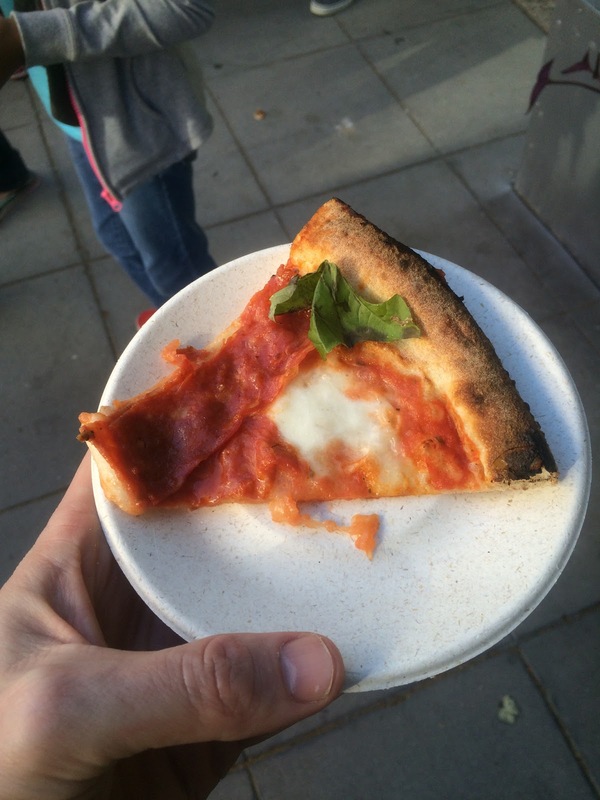 Slices of their delicious pizzas were on offer for the event. 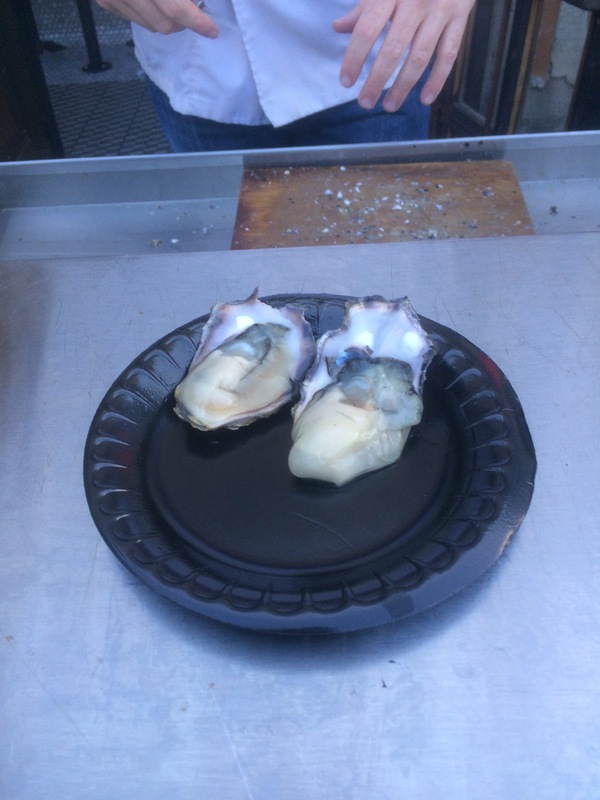 Fresh oysters were on offer from Ironside. I never liked oysters until I had theirs...fresh and delicious! Winding up the tour was a taste of cheese and saffron risotto from Monello. Their risotto is so toothsome and rich -- a must try on Wednesday nights when it is available! Even though the next Taste is not happening until next year, it's completely worth it to check out all of these restaurants in Little Italy, and stroll around the lovely neighborhood! Thanks for the review! Little Italy seems to be more of the expensive Tastes of I've seen. I'm curious to try this year, but wish they had a combined route with both south and north for a cheaper price. Think they use to do it in 2015 before they started to separate them.